I have had the pleasure of working with Linda for over 15 years. She is hard working and conscientious. Her time management skills are excellent and her dependability and decision making are superb. Linda has a way of making her patients feel at ease and comfortable working with her. Over the years, I have received many compliments regarding her case management skills from her patients and our clients as well. 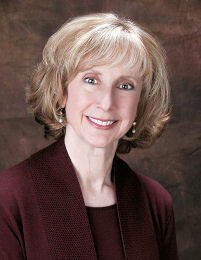 Linda is very knowledgeable, honest and would be a valuable asset to any patient or organization. Find a list of Linda’s insurance clients here. As the senior medical benefits coordinator at Republic Indemnity Insurance Company, in both the Northern and Southern California offices, I have contracted with Linda as a field nurse case manager for various types of workers’ compensation cases. Linda does an outstanding job in the case management of claimants. Some examples of claimant health problems I have assigned to her include upper and lower body orthopedic injuries, neurologic conditions, burns and multiple body parts due to serious falls/accidents, as well as chronic diagnoses. Linda was able to review and accurately analyze medical records, clarify treatment plans and make appropriate referrals in a timely manner, along with recommendations for short term planning. When needed, she is very efficient at assisting in return to work, whether the work is modified, alternate, transitional or returning to a previous job. Linda has always been very organized, skilled at determining cost savings as well as optimal treatment plans, and facilitating communications between all parties: claimant, attorney, examiner, physician/s, and other providers (PT/OT/Homecare, etc). When claimants require hospitalization, she does an excellent job with discharge planning and assessing home living arrangements. Linda always seems to make time available when those last minute hospitalizations and discharges happen. I can always count on her to use her extensive experience to smoothly coordinate any case to which she is assigned. I have worked with Linda for approximately 18 years in her work as a Nurse Case Manager. She does an excellent job with her medical and rehabilitative management skills, particularly in working with those patients who experience long term injures and chronic pain. Linda is very resourceful in identifying and assessing the appropriate needs of patients, as well as being a liaison to family members.